This cookie will wrap up my cookie series for the holidays...maybe. 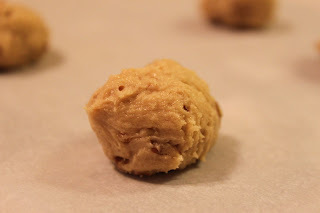 I do have a new cookie press and a spritz recipe that are calling my name. But, for now, I've made three different cookies within the last 24 hours and will be packaging up some of them and shipping them out tomorrow. I know they'll be appreciated. The cookies that remain will be saved for Christmas Eve. Santa will not be disappointed when he comes down our chimney. He will have three different cookies waiting for him. I hope that doesn't make him late for your house. You may want to whip up a batch of these just to be safe. 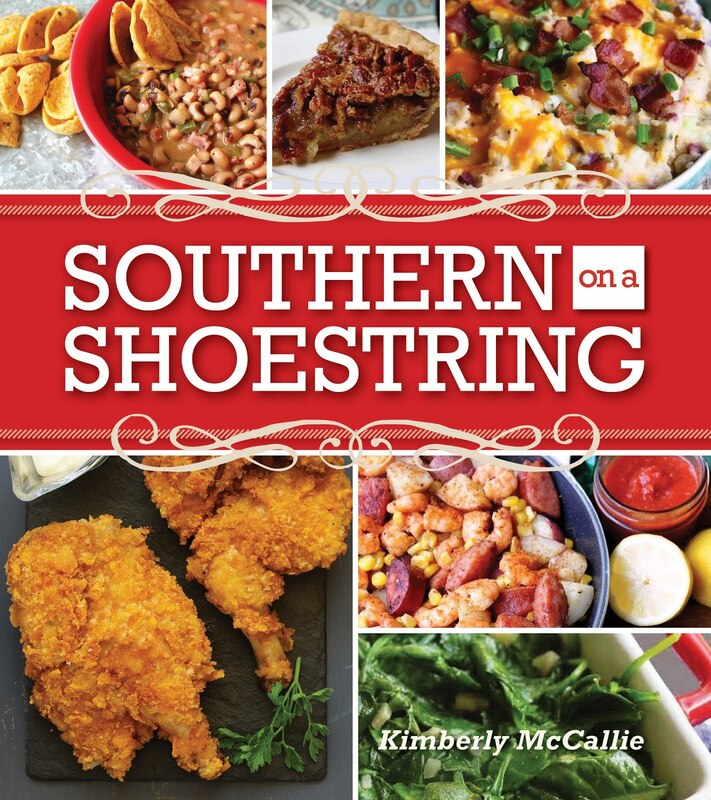 This recipe is from Taste of Home's Best Loved Cookies and Bars 2009. In a large bowl, cream the butter and brown sugar until light and fluffy. Beat in egg and vanilla. 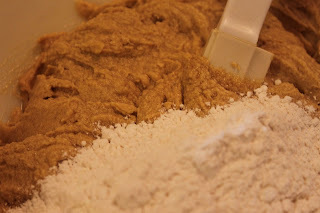 Combine the flour, baking powder and salt; gradually add to creamed mixture and mix well. Shape the dough into 1-in. 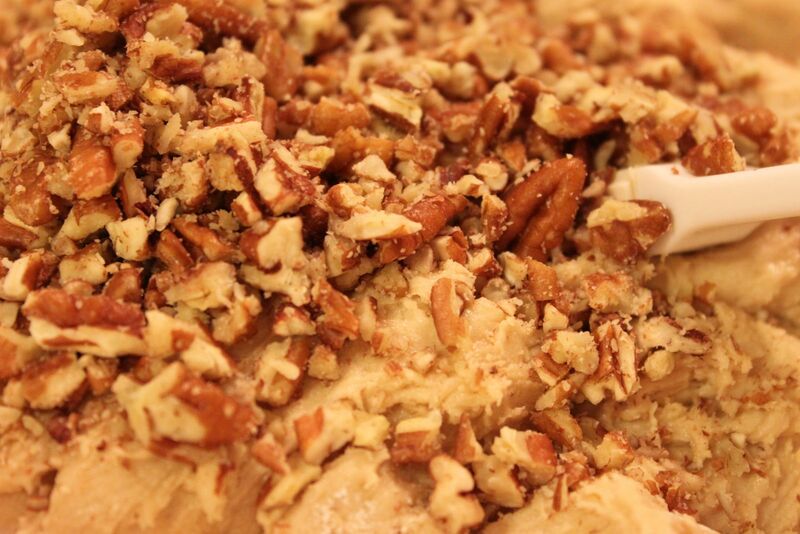 balls; roll in pecans. Place 2 in. apart on ungreased baking sheets; flatten slightly. Bake at 350 degrees for 8-10 minutes or lightly browned. Cool for 2 minutes before removing to wire racks to cool completely. In a small saucepan, bring brown sugar and cream to a boil. 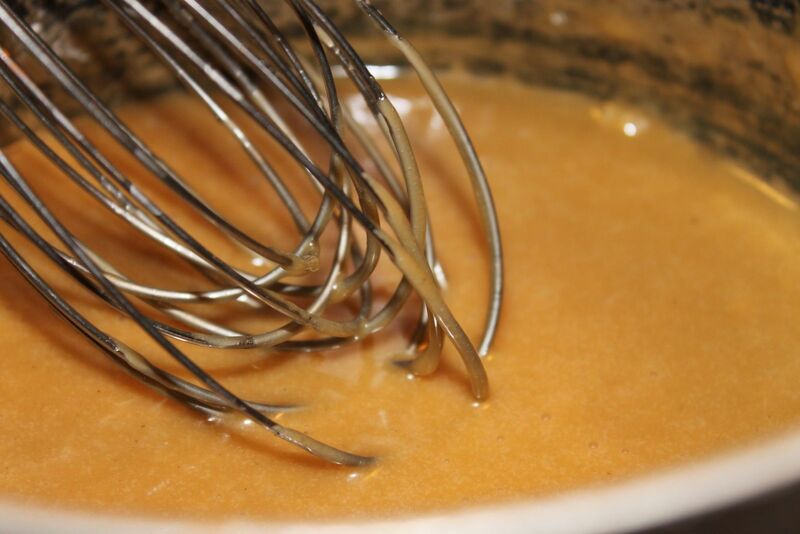 Remove from the heat; whisk in confectioners' sugar. 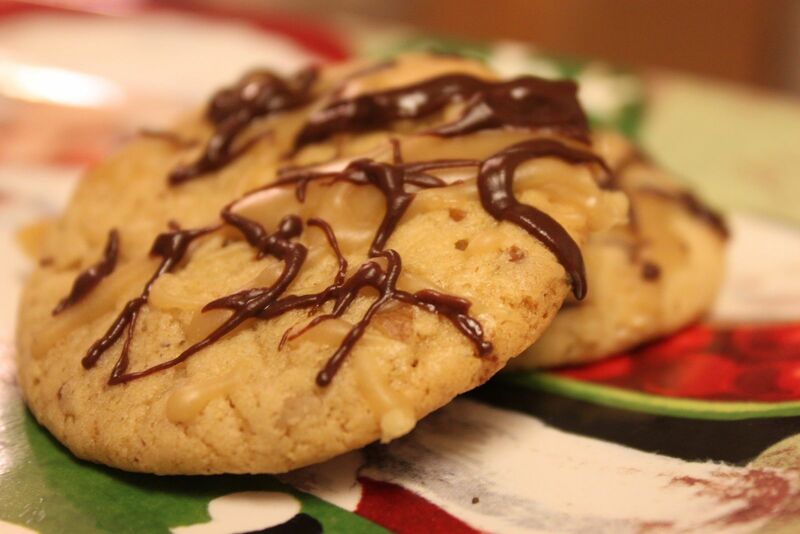 Immediately drizzle over cookies. In a small microwave-safe bowl, melt the chocolate and butter; stir until smooth. Drizzle over cookies. Let stand until set. Store in an airtight container. 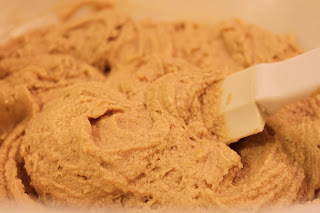 In a large mixing bowl, cream the butter and brown sugar. Add the egg and vanilla. 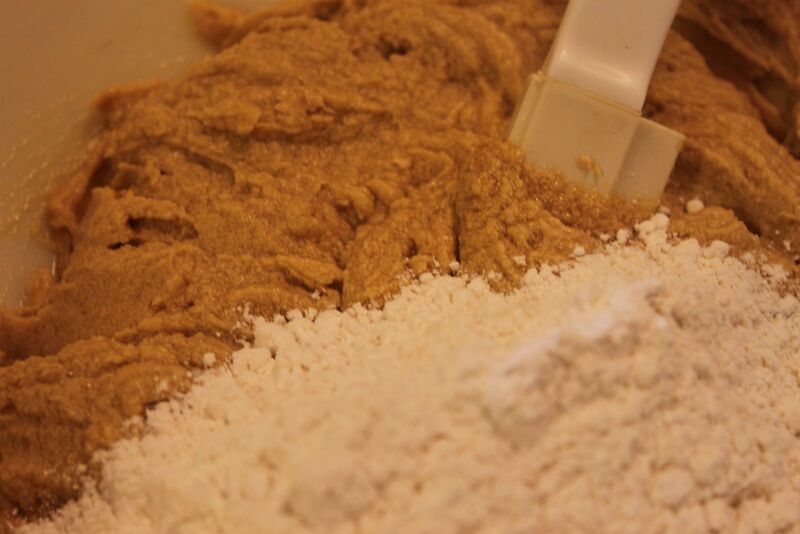 Add the dry ingredients and continue to mix. The batter will be thick. Now, here's an example of not following directions. Don't do this. Even though I've made these cookies before, I overlooked the fact that I was supposed to roll the dough in the pecans instead of putting the chopped pecans in the batter. Duh!?! Anyway, I don't think the cookies are any worse for wear. Things worked out anyway! 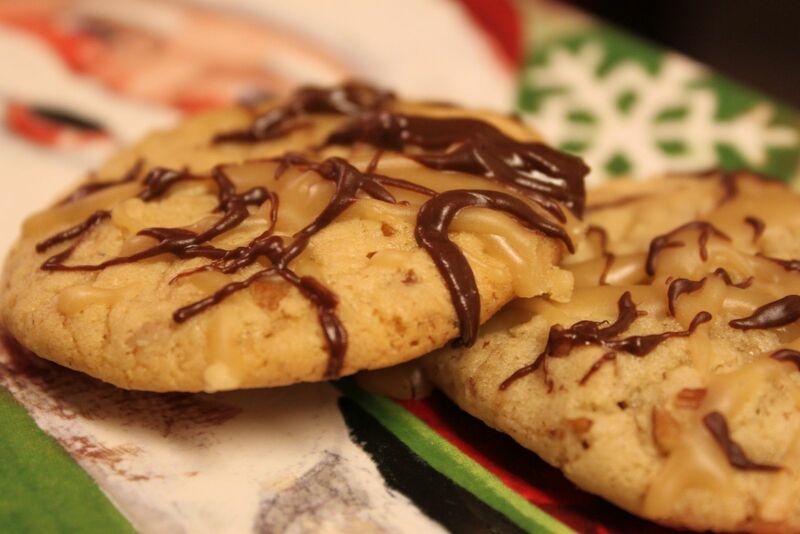 After the cookies are baked and cooled, make the caramel drizzle by bringing the brown sugar and whipping cream to a boil, removing the pot from the heat, and whisking in powdered sugar. 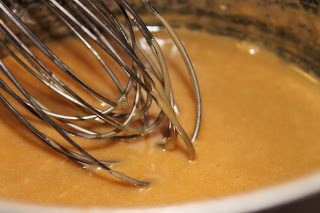 It will be a beautiful caramel-colored sauce. Yummy! 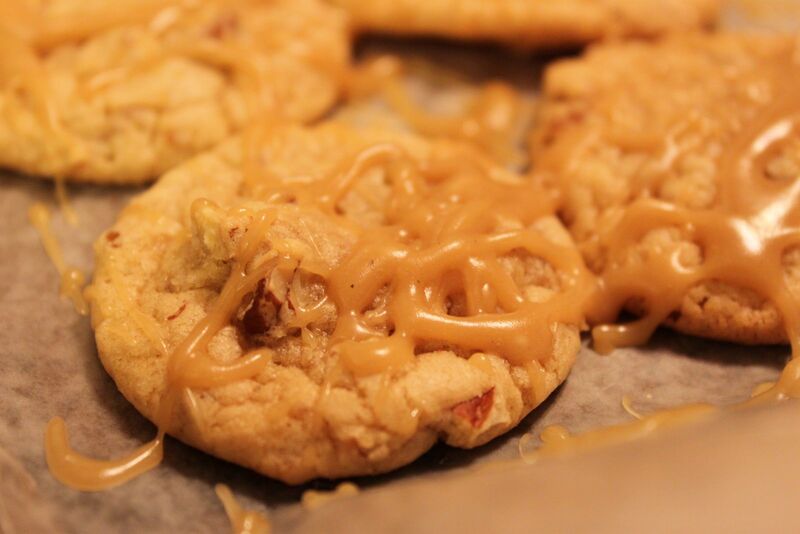 Drizzle the caramel sauce over the cooled cookies. As soon as I finished drizzling the caramel sauce, I went to work preparing the chocolate drizzle. It was a quick fix of melting semisweet chocolate and butter. I drizzled that on top of the caramel. I think Santa will be pleased or at least his wife will be.